Dieses geräumige Stadthaus befindet sich im Komplex Moreras del Salader auf 2 Ebenen und verfügt über 3 Schlafzimmer und 2 Badezimmer. Es liegt nur 3 Gehminuten von allen Annehmlichkeiten des Strandes Arenal in Javea entfernt. Es profitiert von Off-Road-Parkplatz hinter den Toren. Es gibt einen Vollzeit-Concierge und einen Paddle-Tennisplatz. Das Anwesen hat eine großartige Aussicht auf den Yachthafen, der etwa 50 Meter entfernt ist. Badezimmer im Erdgeschoss hat eine Dusche und Waschbecken und eine Einheit für die Lagerung aller Ihrer Toilettenartikel. Das Badezimmer im Obergeschoss verfügt über zwei Waschbecken und eine Dusche (viel Stauraum) komplett mit Handtüchern - Hand / Bad. We stayed for 2 weeks in this lovely property and enjoyed it all! We were a family of 6 adults, 3 couples and it was easily spacious enough, with plenty of separate outside space if needed. This meant we could enjoy it as a family all together but also as couples. The house is also very well equipped with great outside furniture and facilities as well as inside. The pool and grounds are gorgeous and very relaxing. It is only a 5 minute walk to the front with all amenities, lovely restaurants and bars, and the beach! The wine shop at the end of the road is also really handy and does loads of lovely and affordable wine, and also the corner shop down the road that takes you to the beach. I would recommend this property for a family or a group of adults! It really is lovely, thank you very much for a great holiday and stay! I would highly recommend this great bungalow to anyone wishing to visit Javea. The location is absolutely perfect! You are a 5 minute walk to the beach, bars and restaurants. The outside space is fantastic with the pool a few steps from the garden. The bungalow is clean and very spacious with plenty room to accommodate 6 people. Arenal beach is lovely and clean with lots going on until the sun goes down. You'll find plenty bars and restaurants and lovely little stalls along the promenade. We liked to take a leisurely walk into the port and stop at one of the many lovely beach bars. Martin and debbie were a pleasure to deal with, responding promptly to any queries. This was our third visit to Javea with friends. The accommodation is first class. Right beside the beautiful pool. Lovely outdoor space, situated to have sunshine from morning to late evening, fabulous. The apartment is spacious and well equipped. 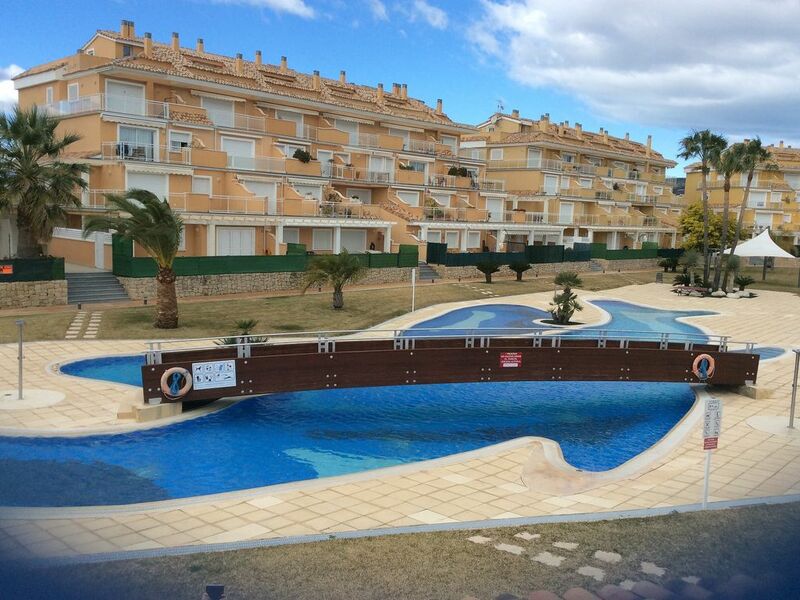 Excellent location, close to all that Javea has to offer. Martin and Debbie, the owners, were very easy to deal with and responded promptly to any enquiry made. We will definitely be returning to stay and highly recommend the accommodation and the destination. Roll on our next trip to beautiful Javea. We stayed in Javea for the first time recently and definitely intend to return. Everything about the bungalow was spot on - location, facilities, cleanliness, the lovely Spanish neighbour, communication with the owners - I could go on & on! The resort itself was also fab - the white sandy beach, clean blue sea, amazing restaurants along the promenade, very friendly staff in the restaurants and shops. I really can't fault anything about the holiday and can't wait to return and the bungalow will be my first choice of place to stay. Zu Fuß zu Arenal (5 Minuten) und alle Pop-up-Strandbars entlang der Avenida Medditerreaneo. Schöne Strände. Banken, Supermärkte, Geschäfte, Cafés, Restaurants sind alle zu Fuß erreichbar. Booking Notes: A 20% deposit is required at time of booking, with the balance due 7 weeks before arrival. If your arrival is less than 7 weeks your full payment is required when the booking is made. A security deposit of £200 is required for breakages/damages, this is due with the final payment and will be refunded once the property has been inspected after your departure. Cheque's and Paypal please, however if you wish to pay via an online banking system please request details. Changeover Day: Saturday is changeover day, although exceptions can be made. There is a min. stay 7 days. Please ensure you depart the property by 11am, arrivals are after 4pm. If you are arriving early/late (i.e b4/after 7) please let us know at the time of booking. Notes on prices: SPECIAL DISCOUNTS ARE AVAILABLE FOR STAYS OF 3 WEEKS + AND ALSO AT CHRISTMAS/NY PLEASE ENQUIRE.